Brightside & Waste Management of Kentucky’s Compost Sale this Saturday! The benefits of using compost are numerous. It builds good soil structure; enables soil to retain nutrients, water, and air; protects against drought; helps maintain a neutral pH, and protects plants from many diseases commonly found in the garden. It also feeds earthworms and other microbial life in the soil. In general, it doesn’t matter what kind of soil you have. All soils can be improved with the addition of compost. If you don’t already compost on your own and are looking for premium compost to add to your gardens, Brightside can help! Our bi-annual compost sale and fundraiser will be held this Saturday, March 21st from8:00am to 12:00pm at the Outer Loop Recycling and Disposal Facility located at 2673 Outer Loop. Compost can be purchased by the bag or by the scoop. Fees are $2.50 per bag, or $35.00 per Bobcat scoop. A discount coupon is available on the Brightside webpage. 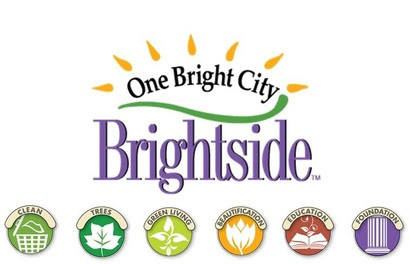 Waste Management of Kentucky has generously donated the compost material to Brightside and the proceeds from the compost sale will benefit Brightside’s beautification and sustainability efforts. Brghtside compost is a mixture of leaves, chipped tree limbs, yard waste composted into an earthy, well mixed organic amendment that any home gardener would be happy to use on their garden.